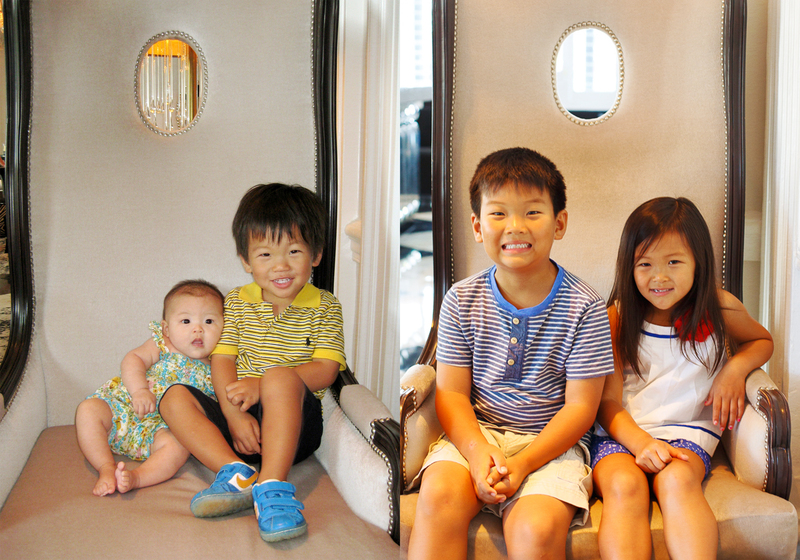 She was only three months old and we decided to do a stay-cation at The W Hotel in Washington, DC. We rushed to the hotel to get there in time for her feeding but our room wasn’t ready. The hotel staff set me up in a conference room so I could nurse in private, Lucas loved spinning in the chairs. Pushing around the heaviest double stroller we explored the American History Museum and Natural History Museum and lunched at KAZ Sushi Bistro. After a long day Lucas enjoyed a bomb pop while we raced back to the hotel in the pouring rain. To celebrate the 4th we decided to do a stay-cation at The W Hotel. No strollers this time around and everything we needed fit nicely into one bag including three blankets, pink doggy and turtle. We weaved in and out of under trees attempting to avoid the rain while we made our way to BLT Steak for dinner. On the 4th we watched the parade and explored the Folklife Festival. Our day didn’t end until 11pm after the fireworks were finished.